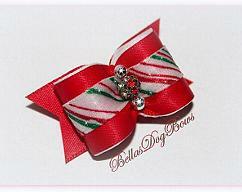 Candy Cane Christmas Glitter Bow with Red Satin Ribbon and Swarovski Crystal Bead. SPRING has Sprung and flowers are popping up everywhere. 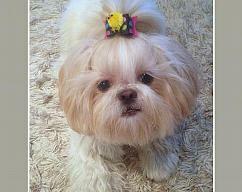 How cute will your little girl look with her own flower bow while out in the park or for an afternoon stroll! This is a beautiful shade of Dark Rose grosgrain ribbon with matching flags. 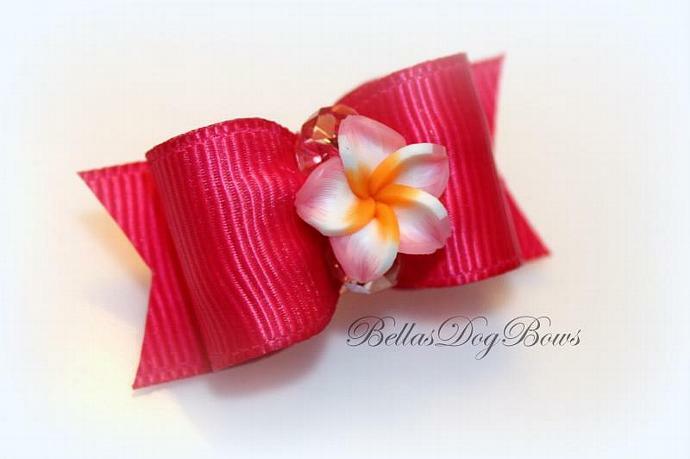 Nice size 3D White Plumeria Flower bead trimmed in Pink with an orange center. Two large faceted crystal beads finish off this bow perfectly. ** Measures approx. 7/8" x 1-1/2" (without flags included in measurement). 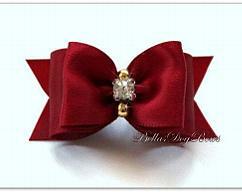 ** Each bow has two 1/4" strong hand sewn-on bands.